Welcome to our From the Heart Stamps blog hop! Our theme this month is Spring. 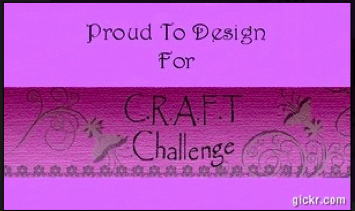 Our designers are each showing a project created with this theme as inspiration. If you have arrived from mega creative Angela's blog, you are in the right place, if not, why don't you start on the From the Heart Stamps blog so you don't miss a single thing. Now head on over to the super talented Nazeema's blog and see what fabulousness she has created for you. As you hop along, please consider leaving a comment on each blog. We will select a random winner from the comments on each blog and also a winner on the FtHS blog. You will win one image of your choice if you are the lucky one chosen. Our hop will end on Sunday, March 12, 2017 at 6 am and the winners will be posted on Wednesday, March 15. That adorable bunny is one of my favorites. Just perfect for spring and Easter. Beautifully colored. Great take on the sketch! Oh Em Gee, Brenda! 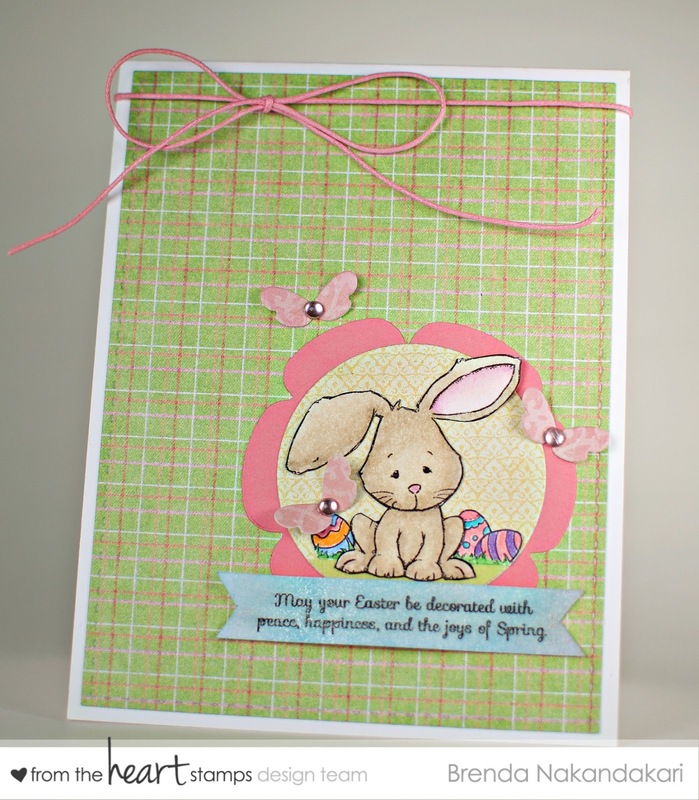 This is just wonderful...love the soft colors and your use of patterned papers...stunning! You had me at the plaid paper, then I saw the sweet image, and then...that sentiment is beautiful! Thanks for sharing! What a cute bunny image. Love it on the plaid background. Such a sweet little bunny! Adorable card! How adorable! Great colors and fun DP! Your bunny is adorable, and the little butterflies, that look like they are fluttering are SOOOOO cute! Love this!!! This is absolutely adorable!!! Love it!! Great coloring, I love that little face! Nice job. Perfectly precious Easter card, Brenda! Love that plaid paper in soft spring pastels. Beautifully cute, love that image and your gorgeous card. This is beautiful Brenda. Love your coloring and the sweet little butterflies. Very sweet easter card, Brenda and i like the green plaid background paper - fit´s perfectly for spring. This card is adorable, love how you used the weekly sketch. Awwww, so precious. Love that adorable little bunny!! what a sweet bunny and sentiment! Hi! This is my favorite Easter image I used several times already. Your card is just beautiful! Colors, coloring, the layout. Great job. What a great card!!! !Very cute bunny!!! Love how you colored up your bunny. Great job with the sketch. So sweet card and love the plaid background. This is so cute, Brenda! Perfect colors for spring! Adorable card Brenda! Gorgeous coloring and I love the plaid paper! such a cute little bunny ... love 'em to pieces. so cute this sweet bunny! lovely card! This is adorable, Brenda. Perfect for Spring! How cute is this little bunny? Love that plaid BG too! Beautiful card, very sweet and a great take on this weeks sketch. This is so cute with such lovely colours and that plaid background! So precious. Soft Spring colors. Such a cute bunny card! Love the springy colors! What a sweet card - the background papers are wonderful and it all flows so well! Love it!